As we begin another Advent season, many teachers will be searching for resources to mark the season in the classroom. Many teachers will be quite familiar with the Kandle website as it produces great quality religious resources, especially at set times during the year. 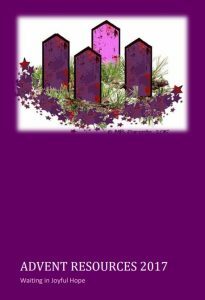 The site has recently released its 2017 Resources for Advent. This resource is aimed at pupils in middle classes. 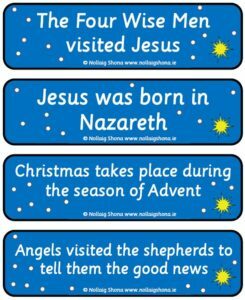 There are statements about the Nativity on flashcards and pupils have to sort out the statements and decide whether they are true or false. There are twenty sentences to sort, ten of which are true and ten which are false. The resource assumes an ability to read. Many teachers will be quite familiar with the Kandle website as it produces great quality religious resources, especially at set times during the year. 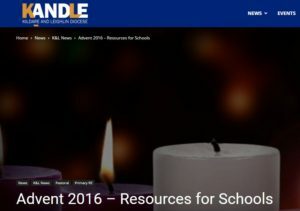 The site has recently released its 2016 Resources for Advent. 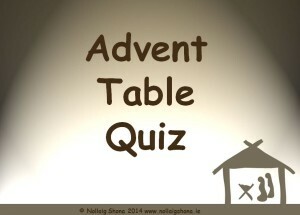 This table quiz, with questions based on the theme of Advent and Christmas, comprises eight rounds of six questions, a tie-break round and answers to all questions on 146 Powerpoint slides. Hopefully, there is a mixture of easy enough questions and some to challenge the better able pupils. The aim really is that pupils should be able to get a good few correct with the harder ones there to sort out winners. 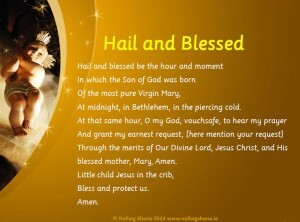 As children, we were taught this prayer by our parents, which we recited instead of the Angelus prayer during the season of Advent. 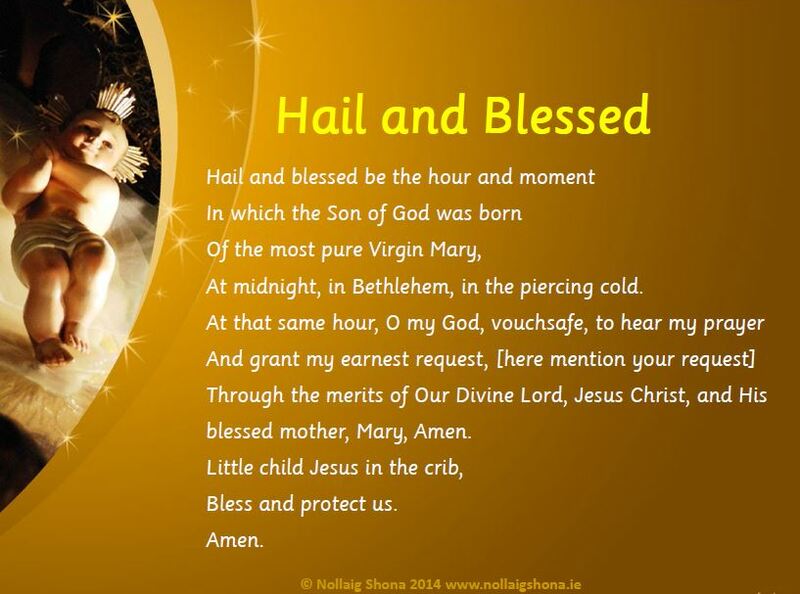 An internet search informs me that the prayer is traditionally said as part of a Christmas Novena, recited fifteen times a day, from the feast of St. Andrew (November 30th) until Christmas. 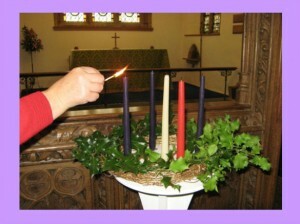 This video explains the meaning and significance of Advent in an easy-to-follow format. This is a Christmas oral language activity that can be done with pupils in middle and senior class standards. 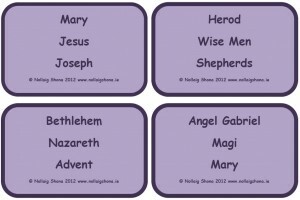 On each card are the names of three items relating to the Nativity story. The purpose of the activity is to help develop the working memory of the pupils, while at the same time encouraging them to speak aloud and learn some new language. The more you do this activity, the better pupils become at it. It is also an activity that pupils will really enjoy. These are large flashcards/posters of the names of the Three Wise Men / Three Kings that brought gifts to the baby Jesus. This website has lots of activities especially suited to younger pupils, all based around the Christmas story. 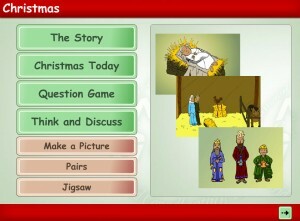 Pupils can read an online version of the story; the Christmas story can be arranged in sequence; there are simple activities based on Christmas today; there are question games to assess comprehension; there are a range of “Think and Discuss” activities; pupils can use “drag and drop” activities to create a stable or a hillside scene; there is a match the pairs activity; there’s a jigsaw activity. This is an online presentation focusing on the religious customs and traditions of the Christmas season. Some downloadable supplementary teacher’s material is also available on this site.